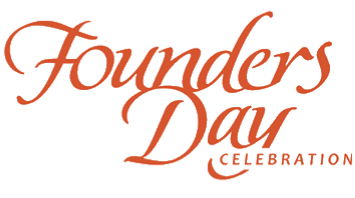 Our annual Founders Day Celebration is scheduled for Saturday, May 11, 2019 from 12:00 pm to 4:00 pm at the Lucas Community Park located next to City Hall at 665 Country Club Road. We are continuing our efforts at this year’s event to focus on the beautification of our City, sustainable landscape practices, water conservation, and little abatement. This year’s celebration will include our signature parade, stick horse rodeo, pony hop event, petting zoo, inflatable obstacle course, photo booth, and much more. Food and beverages will also be provided. We invite the entire community and their families to join us in celebrating our biggest event of the year! More event information regarding Founders Day will be posted. You may also download any application and e-mail it to Special Projects Coordinator Kent Souriyasak (kent@lucastexas.us), as well as mail or drop off the application at City Hall. We look forward to having a wonderful turnout at this year’s Founders Day Celebration!